Sunrooms are excellent investments for homeowners who wish to increase the overall livable space of their homes while taking in natural light. 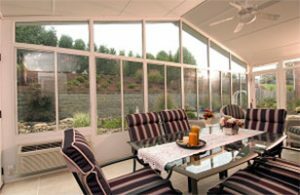 At SRA Home Products, we install TEMO sunrooms in Bear, Middletown, and other nearby Delaware communities because we believe in offering our customers only the best products on the market. Our sunrooms are designed to beautifully complement virtually any type of house and to withstand the elements for years, so they’re the perfect choice for anyone seeking a new home addition. 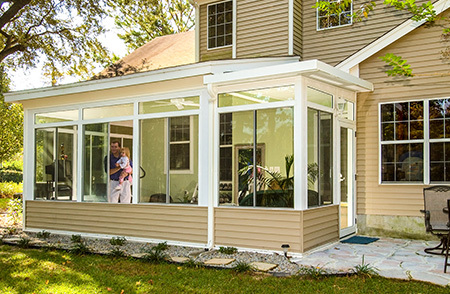 All the sunrooms that SRA Home Products installs provide these important benefits, but that’s not to say that our home additions are one-size-fits-all solutions by any means. 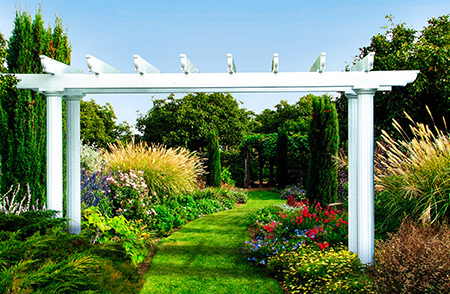 Rather, we invite each client to choose from several general profiles; from there, our crew of home improvement experts works closely with them to develop a customized design that will incorporate seamlessly into the rest of the home. Once we have the perfect plan prepared, our factory-trained, experienced sunroom professionals can get to work creating the new room quickly and effectively. What’s more, all the sunrooms that we create are backed by TEMO’s lifetime transferable warranty for additional peace of mind. To learn more about the sunrooms that we build for homeowners in Bear, Middletown, and other DE communities, contact SRA Home Products today. We can schedule a free, in-home consultation with you to discuss the design options that will best suit your home.